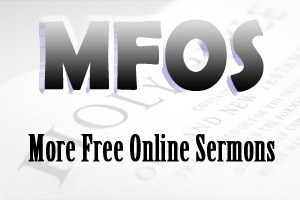 How to write a sermon introduction provides several insights into writing a sermon introduction. Before you look at how to write a sermon introduction, you need to remember that a sermon has three parts - an introduction, the body (which is your sermon outline) and a conclusion. Before you write the introduction and conclusion, you should have the sermon outline completed. In that way, you will know exactly what you are going to preach about (main preaching point, topic or subject) and you know exactly what you are going to say about your main preaching point (sub-points and incidental points). The body of your sermon, which is your sermon outline, consists of the main preaching point, sub-points and incidental points. Once this is in place, you can begin thinking about your sermon introduction. By the way, it is very difficult to write an introduction if you do not know what your main preaching point is or the topic of your sermon. Let's write an introduction to a sermon from Philippians 4:10-23. The main preaching point is Finding Contentment in Jesus Christ. In fact, here is a brief outline of the sermon. There are several ways you can introduce the main preaching point - Finding and Maintaining Contentment in Jesus Christ. You may want to highlight the benefits of the Christian life by sharing stories of people who have found contentment in their relationship with Jesus. On the other hand, you may want to draw out the tension between contentment and discontentment. In this sermon introduction, I decided to focus the attention around discontentment leading to contentment in Jesus Christ. Let me read to you a little poem that I found. And when it’s cool, He wants it hot. Always wanting, What is not. In many ways, this short poem sums up our existence. It seems that we seek contentment but only find discontentment. Why? In fact, we live in a society that is discontent with everything and yet we live in a society that has so much. We have so much! You would think that everyone would be content but that is not the case. Why is our society so discontent? Why is our society so dissatisfied? I believe we are discontent because we are seeking contentment in all the wrong things. Jesus said, “Seek first the kingdom of God and His righteousness, and all these things shall be added unto you” (Matt. 6:33). In these few words, Jesus summed up the situation...contentment is found in the kingdom of God...contentment is found in the Lord, not the things we pursue. If contentment was found in the things we pursue, then the western world would be happy and satisfied, but it is not satisfied and it is not content. Let me also add, “Contentment is a biblical virtue”. In fact, the Bible says, “Godliness with contentment is great gain” (1 Tim. 6:6). When a Christian has found satisfaction in the Lord, he will be content. He will be content with whatever he has. He will be content with food and clothing. He will be content with his wages. He will be content because he will know God’s presence and provision. Now, in this passage, Paul encourages his readers to find contentment in the Lord and to find satisfaction in the Lord. Now Paul gave four truths to help us find and maintain contentment in Jesus Christ. I suppose we need all the help we can get because we do live in a very discontented society. A sermon introduction introduces the main preaching point of the body of your sermon (which is your sermon outline) - nothing more, nothing less. Therefore, it is absolutely paramount that you have your sermon outline completed before you begin writing your sermon introduction. It is terribly difficult to write a sermon introduction when you do not know what you are going to preach about or your main preaching point is not clear.